As part of promotional activity, Symantec (Norton) directly or indirectly releases some giveaway security softwares frequently, which would last only for some period. According to any company, these free softwares would neither generate Return on Investment nor produce revenue recurrently. Yet, it brings so much traffic which would increase its popularity. As Norton Antivirus 2013 is released recently, one does not want to install trial version which is limited to 15 or 30 days, rather looks for extended period. So, recently a 6 months trial version of Norton Antivirus 2013 was released along with the actual Norton products, which have to be purchased for about $50 or more. With its new and redesigned user interface optimized for touch devices which run Windows 8 operating systems, Norton brings you a collection of extensible features like Browser Protection, Download Insight 2.0, Vulnerability Protection, and many more things to provide comprehensive defense against malicious threats. As you are getting Norton 2013 Antivirus 180 days of free activation, you should follow few steps seriously. 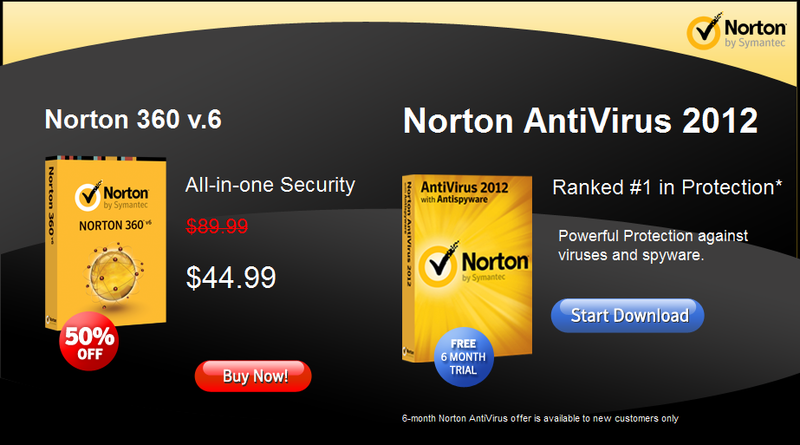 1) The first thing you need to have is Norton Antivirus 2012 180 days trial pack. Download it by visiting this promo page link below, if you don’t have. 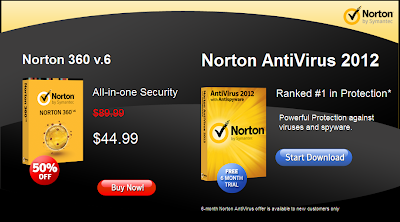 (You are lucky to get full 1-year protection for free – Norton 2012 + Norton 2013). 2) Click on “Start Download” and install it on your PC. It comes with pre-activated 6 months product key, so no need to get any serial key. 3) As soon as completing installation, run it and you’ll see a “Subscribe” button in the middle of Norton Antivirus 2012 interface. Enter your regular email address and create a Norton account. Important Note: If you have created Norton account before, enter another email address which is unused but not the registered one, as 180 days subscription is available for new customers only. 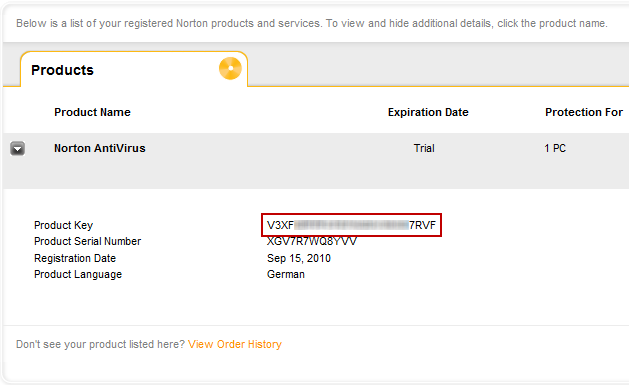 4) After the whole registration process, log-in to Norton account from here and click on “Products” tab. 5) Now copy the 180 days “Product Key” and “Product Serial Key” in a notepad, which is needed for Norton Antivirus 2013 activation. 6) Next thing is you should download Norton Antivirus 2013. The installer automatically removes NAV 2012. You need not uninstall it separately. 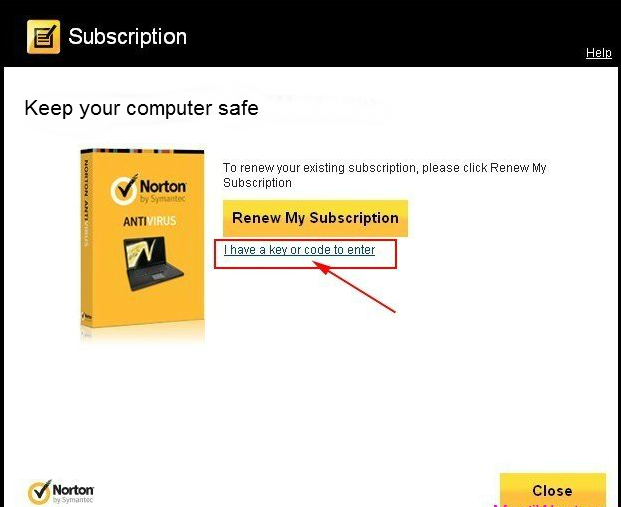 7) Run Norton Antivirus 2013 and below its interface, there will be a button “Renew”, just click on it. A “Subscription” page will be shown after that. Click on the link “I have a key or code to enter” below “Renew My Subscription” button. 8) Just enter the copied 180 days product key and serial key in their respective input fields. 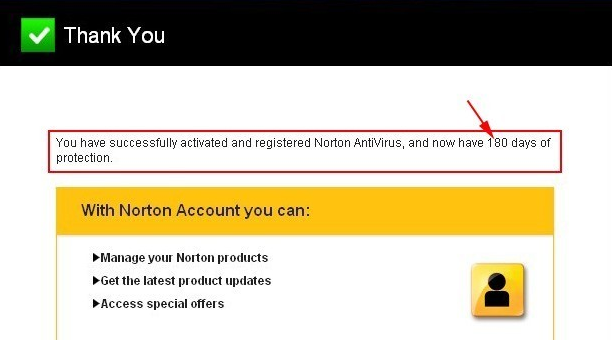 That’s it, you have successfully registered and activated Norton Antivirus 2013 6 months free subscription. The process may be lengthy, but it worth trying to get the best outcome. If you still want to download the 30 days trial period of Norton Antivirus 2013, download from here. Note: If you can't go on with "Step 1" i.e. 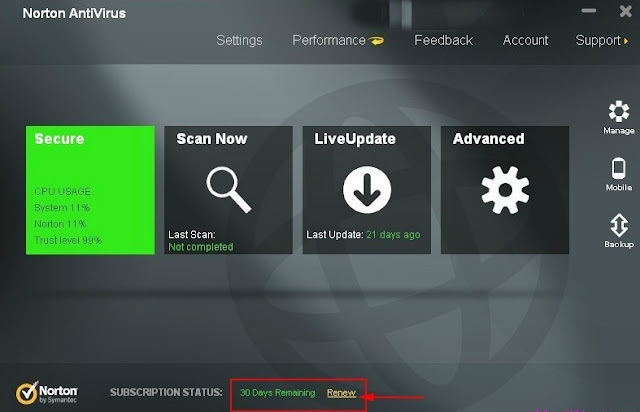 problem downloading Norton Antivirus 2012 180 days trial version, then you can't proceed to next step. So, you must understand that the offer is expired.